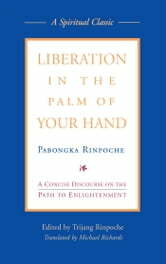 Pabongka Rinpoche was one the twentieth century's most charismatic and revered Tibetan lamas, and in Liberation in the Palm of Your Hand we can see why. 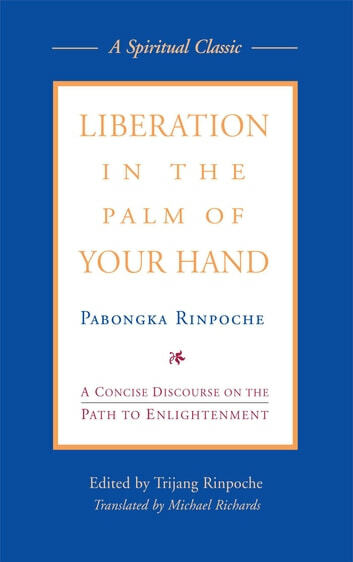 In this famous twenty-four-day teaching on the lamrim, or stages of the path, Pabongka Rinpoche weaves together lively stories and quotations with frank observations and practical advice to move readers step by step along the journey to buddhahood. When his student Trijang Rinpoche first edited and published these teachings in Tibetan, an instant classic was born. The flavor and immediacy of the original Tibetan are preserved in Michael Richards' fluid and lively translation, which is now substantially revised in this new edition.